We are proud to introduce you to a new international, multi-sport event that involves athletes of Hellenic heritage from all countries around the world, the PAN-HELLENIC GAMES. 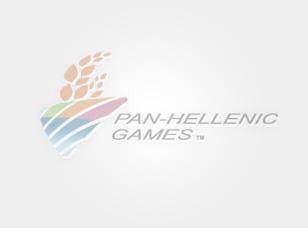 The Pan-Hellenic Games will take place every four years in Athens, and constitutes an event devoted to creating inter-cultural bridges between the Greeks of the Diaspora and Greece and contributing to the maintenance of national and cultural identity of Greeks from around the world via the athletic ideal. For a period of ten days in August, Athens will present a uniquely memorable and exciting celebration of sport and culture. People of Greek ancestry will have the opportunity to participate in a global sports event based on a variety of individual and team sports, which will fulfill their interests and will create an atmosphere that inspires achievement, heritage, and a sense of unity. A number of cultural events and festivities will embrace the games and enrich participants’ Games experience. We devote ourselves to delivering a spectacular event in the historic city of Athens, Greece, and to capturing the imagination of all Greeks internationally. With respect and recognition of your significant contribution towards Greek homogeneity, we are kindly asking for your assistance in our effort to identify and attain appropriate information in regards to your organization’s athletic activity and interest in supporting our event. Please, click here and fill out the relevant questionnaire, which will help us collect important information for developing the appropriate competition and participation structure.